Don Lancaster releases his classic computer books as free ebooks! Thanks to the Apple II news Website, A2Central.com, for the heads-up about Don Lancaster releasing some of his classic computer books as free ebooks, each of which are presently available for download as PDFs. 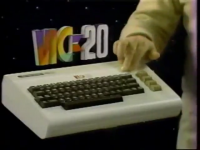 Check it out, particularly if you're into the Apple II!